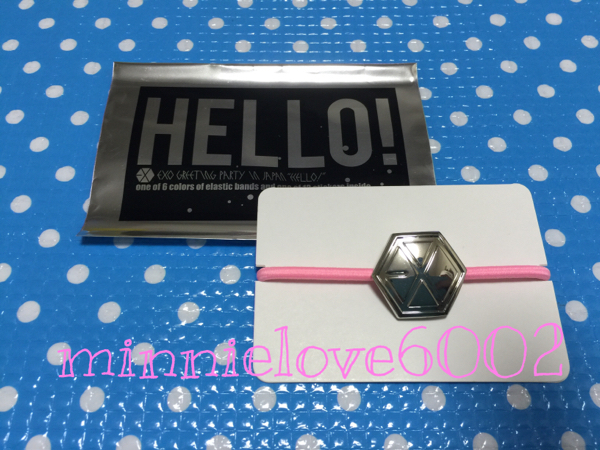 ★ EXO Greeting Party in Japan "Hello!" Sorry to trouble you, but please read the explanation about dealings from this and bid only for those who were convinced. * Please tell your purchase intention from the question column if you have a bad new ID, evaluation. I will delete the bid when this is feeling uneasy about dealings. * Since I will contact you in dealings Navi after a successful bid, please reply within 24 hours. * Please make payment within 3 days but if you can not do it please contact us once. * If there is an error in the shipping cost, we will not refund nor request, so please understand. * In the case of a mail accident (non-arriving, damage, etc ...) when you choose compensation non-compensated shipping, please note that we can not take responsibility. * After bidding, after it makes a successful bid can not respond to cancellation in any case so please consent carefully before you bid carefully. * If there are other unknown points, thank you from the question column. * Since I am keeping in mind the correspondence in good faith, thank you very much.